The earliest known mention of Blackjack was in Miguel de Cervantes epic Don Quixote in 1605. With a history of over 400-years, this humble card game has lived through five French Republics and 18 monarchs and two protectorates in Britain, and it shows no sign of letting up. Now we are all familiar with the normal version of Blackjack but what many may not know is that there are numerous different Blackjack variants, which can not only be found in casinos but online to. If you were to play at the 32Red online casino or other web based places you should be familiar with Blackjack variants, if you are not, here are some of the best. Face up 21 is the most popular Blackjack variant in the market. The brainchild of American game theorist Richard Arnold Epstein, this form of Blackjack see’s all the cards being dealt face up, hence the name. There is a huge advantage to this game as it gives the player an edge for deciding whether to stand or hit, as you know the exact cards your up against. To give the house an advantage all hands that are tied, bar Blackjack, are won by the dealer, meaning that if both of you have 17 you will have to hit otherwise the dealer is the victor. Rules wise, you can split up to three times and double down on a 9, 10 or 11, you can also double down after splitting cards. The Dealer has to hit any hard total of 16 and below and has to stand on hard 17 and above, if it’s a soft 17 then they must hit. If playing online and the dealer stands on the first deal, the computer will automatically hit for you. The overall house edge is 0.85%, so if you play your cards right you have a brilliant chance of winning. While face up 21 requires tactics and nous, Super Fun 21 is just crazy. 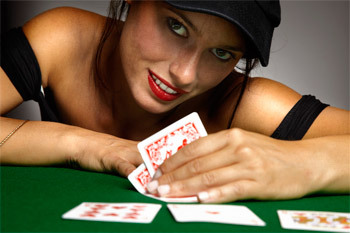 Following the cardinal rule of Blackjack, the aim of the game is to reach 21, that’s about the only similarity. There are numerous differences between the two, you can split your hand an unprecedented four times and you can double down whenever you feel like. The biggest difference though is the six card rule, if you manage to avoid busting after six cards you win, regardless of whether your opponent has 21 or not. Like the title suggests this is probably the most fun version of Blackjack. Found at sites such as Bet365, Blackjack Switch see’s you dealt two hands instead of one. These two hands could be Jack-five and two-King, you would then be asked by the dealer if you want to switch your top cards, which you would as you’d have Jack-King, 20. After the switch the game continues as normal Blackjack. Like face up 21, Blackjack Switch requires a fair amount of tactics and poise.